We at Poise Hair Boutique understand that hair loss can be a sensitive subject, but we are here to help. You will be given full privacy during your appointment. Appointments will be with hair loss certified professional ONLY. Your health insurance provider may cover the cost of your hair service. We can possibly provide custom wig/cranial prosthesis options and or sew-in services through your insurance provider. is a medical term used to describe various devices used for replacement of hair on the head. A cranial prosthesis can be fabricated in many ways using a variety of materials. Cranial prostheses can be full or partial and must be clearly identified as a full or partial cranial prosthesis on a prescription from a physician in order to claim insurance benefits. In layman's terms, a full cranial prosthesis is a wig, and a partial prosthesis is a toupee or hairpiece. Full cranial prosthesis for women suffering from long term or permanent hair loss due to a medical condition such as chemotherapy, alopecia, Trichotillomania, or other medical conditions. 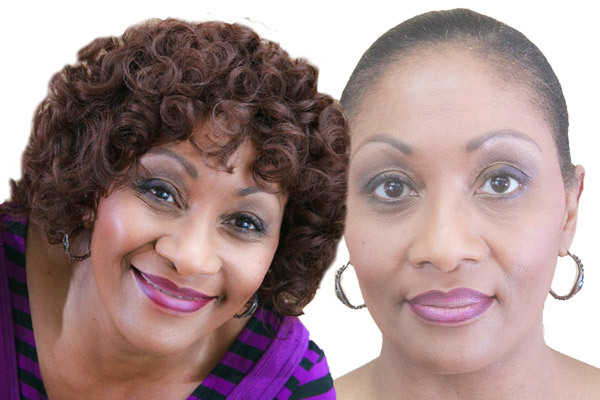 Natural hair prostheses are the latest development in hair replacement units. They are designed to meet the specific needs of any women suffering from hair loss. These wigs are form-fitted to become part of you and designed to be styled as if it were your own hair. The wigs are made to look and feel natural - no one will know it is a wig. They are made with 100% Human Hair.